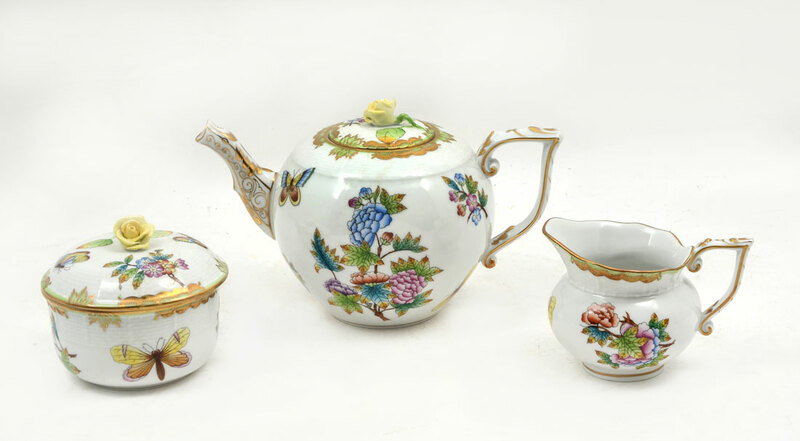 HEREND QUEEN VICTORIA 3 PIECE TEA SET: 3 piece tea service in the ''Queen Victoria'' pattern with green trim by Herend to include 1) Teapot with yellow rose finial, 5 1/2'' h. x 9 1/4''. 2) Open creamer 4 7/8'' dia. 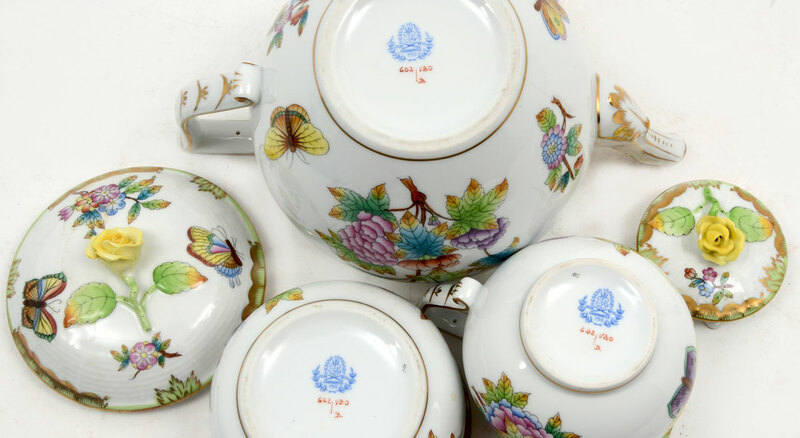 3) Covered sugar with yellow rose finial, 4'' h.
CONDITION: Teapot has an extended craze (not crack) on shoulder.